I list you all my tips and tricks I use myself to book hotels at the best available rates! Do not assume that Booking.com is offering the cheapest hotel deals. Use comparison websites such as HotelsCombined. The room price might differ for more than half the price. If you have the chance to be flexible, try to plan your trips during low seasons or at the beginning or ending of the high season. Hotel rates are more expensive during high season as well as during the weekends. Shifting with dates may save you a lot of money. Thailand during rain season is still an attractive destination as it only rains in short floods most of the time. If you’re IHG Ambassador you should not avoid the weekend and make use of your free 1+1 free voucher for an Intercontinental hotel. 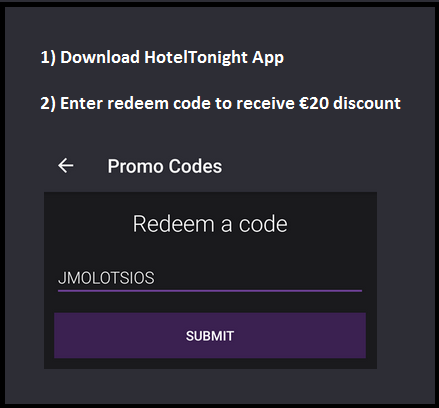 Flyertalk forum keeps track on the newest promo codes that are usable on certain hotel chains or hotel comparison websites. Check the up-to-date list of promo codes before you book, you never know if you are eligible for an extra discount! When you spend money on travel expenses you have the possibility to get up to 50% back of that money. This includes hotel bookings, flight tickets, accessories and much more, depending on the offers the site offers. I personally have experience with only one cashback website, TopCashBack. A lot of hotel chains offer a loyalty program: Hilton Honors (HH), Starwood Preffered Guests (SPG), Intercontinental Hotel Groups (IHG). The one I use myself is IHG, because it offers many hotels. If you fancy a luxury hotel, you can book a room at Intercontinental. If you prefer a cheaper stay, you can search for Holiday Inn (Express) hotels. The Express variant includes breakfast in their rate. All your bookings with IHG will grant you points and eventually status. With the sign-up bonus of 10,000 points, only one stay is necessary to redeem a free stay as some hotels can be redeemed from 10,000 points. If you like Intercontinental, you can become IC Ambassador for $200 to get the most out of your stays. Have you ever travelled before and stayed in a hostel? If you didn’t, you should try it for sure! It is famous amongst backpackers, but if you’re a group of 4 or 6 and a hostel offers 4 or 6 bed dorms, there’s a chance you’ll be able to have your own room with your whole group, although not a guarantee. For couples you can look for private rooms offered by hostels. I’ve stayed in hostels before for as low as 5 euro in East-European countries. Couchsurfing is a great way to meet locals and learn much more about the culture when travelling! This is surely not for everyone, but once you’ve tried it you’ll like it for sure. So far I have always had a great experience with Couchsurfing. Just make sure to respect your hosts and bring them at least a gift from your country. As a Belgian citizen I’ve always given Belgian chocolates which is appreciated a lot! When you’re looking for a host, check their profiles thoroughly if you don’t think it is safe. All other safety measures you should take are written on their website.